Hello, this is Sukie sharing a card for my guest designer post today. 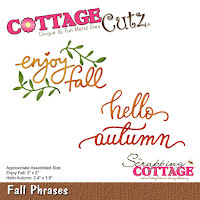 I adore Cottage Cutz dies and the Autumn release is one of my favorites with so many inspiring products! 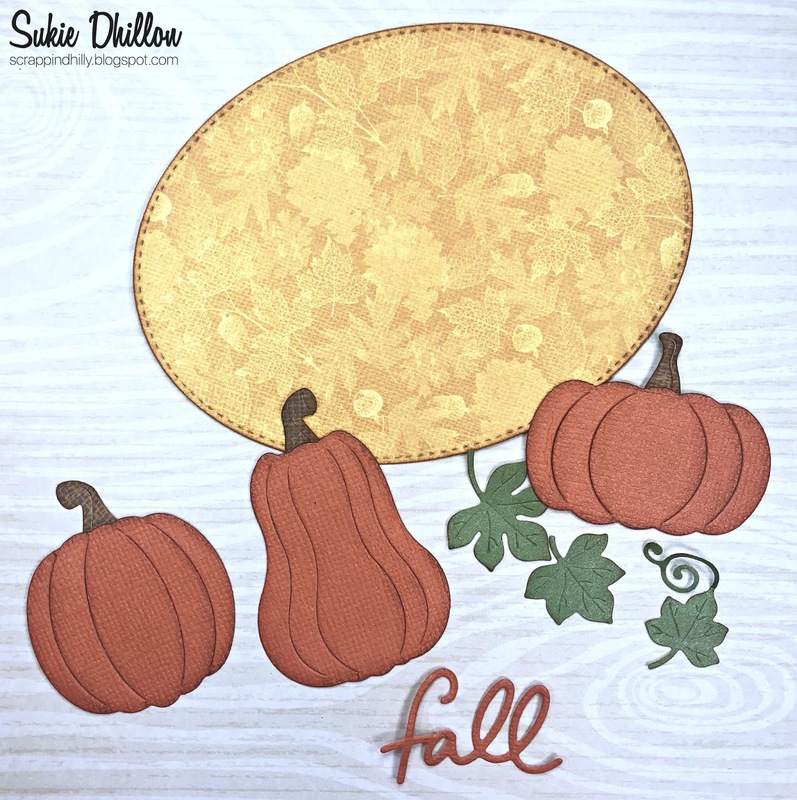 I found the perfect fall themed papers in my stash from the Recollections Harvest Delight 6x6 paper pack. I wanted to break up the background pattern so I cut a couple of strips of paper from the same paper pack in the solid colors. 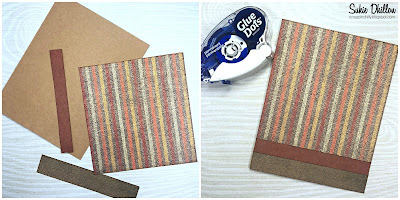 All of the pieces were adhered with Glue Dots Adhesive Gluetape to the kraft card base. 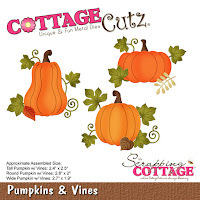 Next I cut out the pumpkins and leaves from colored card stock using the Pumpkins & Vines dies. The pumpkins were inked on the edges for added dimension. I cut out the oval using the Stitched Oval Set and also inked it on the edges. 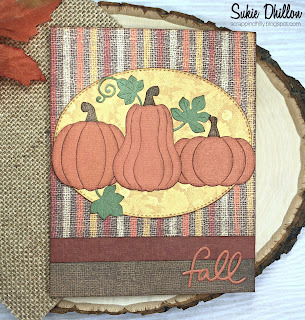 The whimsical "fall" sentiment is from the Fall Phrases die set. 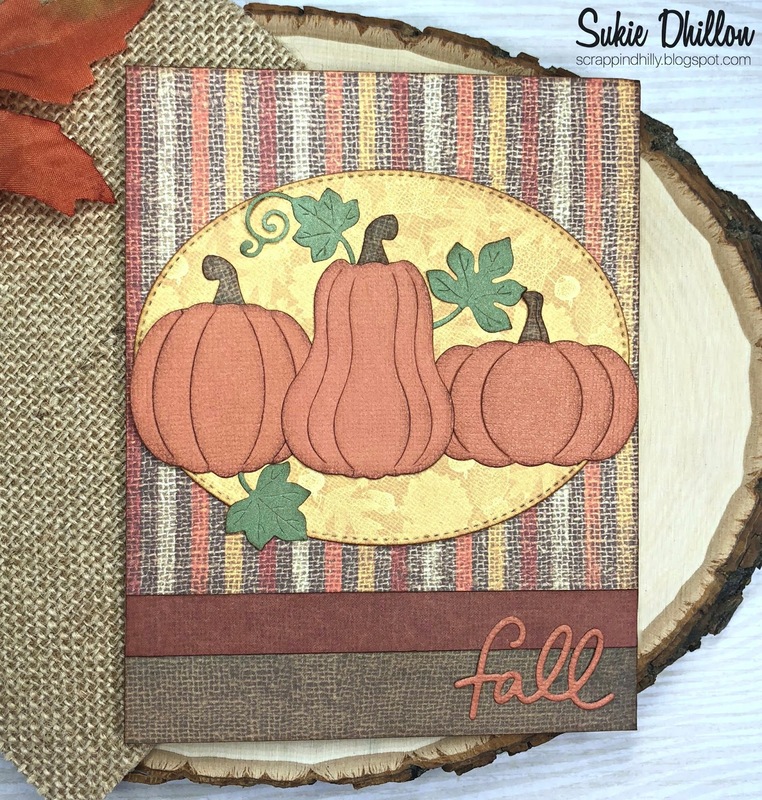 I adhered the oval to the base of my card which is a standard A2 size card (4.25 x5.5) and layered it with the set of pumpkins. 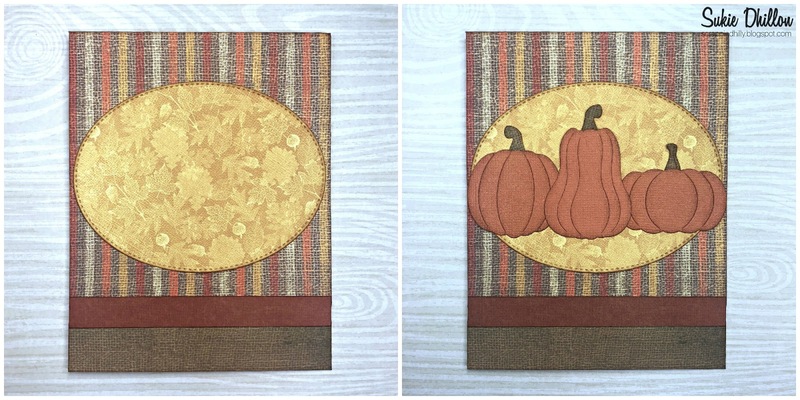 The pumpkins were overlapped a bit so they would fit perfectly on my card. 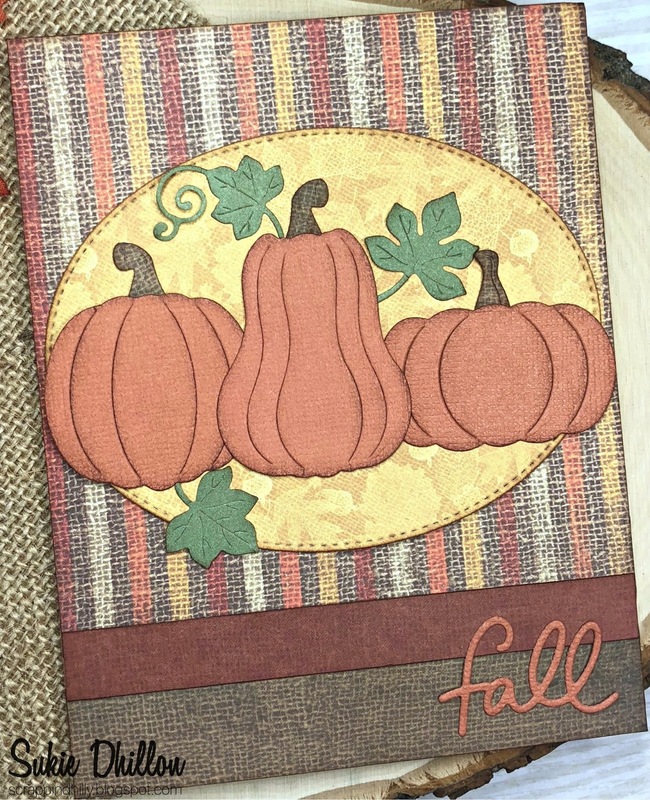 To finish off my card, the leaves were anchored around the pumpkins along with the sentiment. The rustic look of this card is definitely the look I was trying to achieve. Love the rich fall colors and pattern papers very pretty card! Nice card! I like the combination of colors and papers. Beautiful card Sukie. I love all the fall colors. Again, welcome to the team, Sukie! 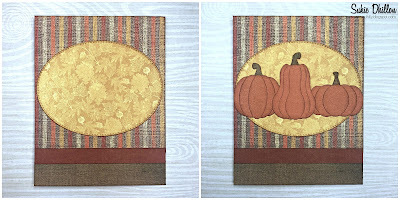 Your pumpkins look so nice with all the fall colors behind them. Nicely designed card. Your card is absolutely beautiful! Love the pretty pumpkins too! Congrats on your GD spot!